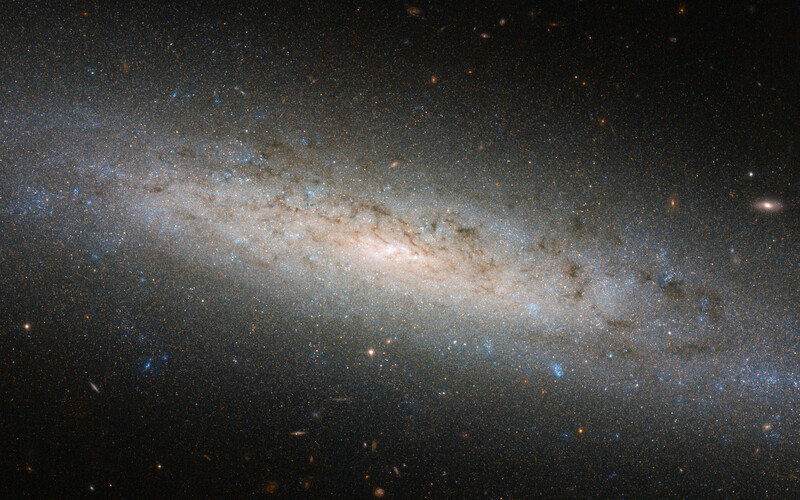 This shining disc of a spiral galaxy sits approximately 25 million light-years away from Earth in the constellation of Sculptor. Named NGC 24, the galaxy was discovered by British astronomer William Herschel in 1785, and measures some 40 000 light-years across. However, there may be more to this picture than first meets the eye. 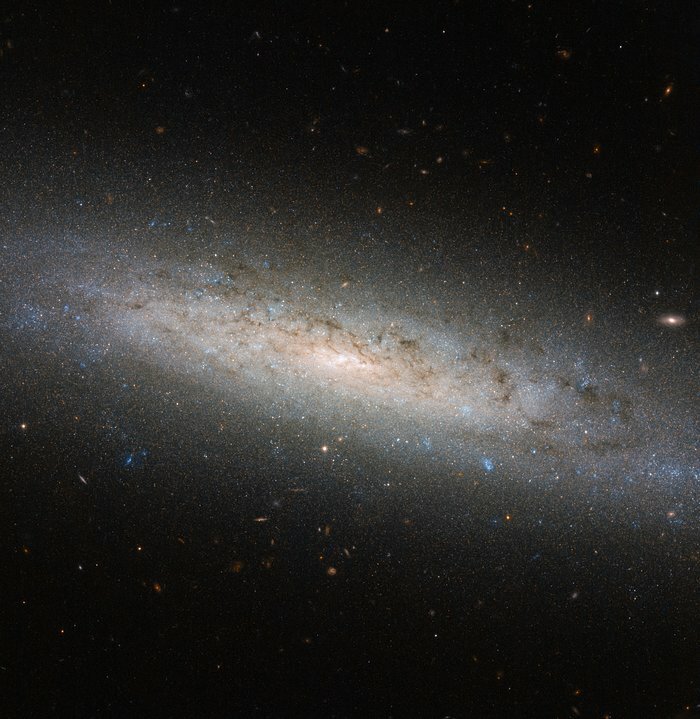 Astronomers suspect that spiral galaxies like NGC 24 and the Milky Way are surrounded by, and contained within, extended haloes of dark matter. Dark matter is a mysterious substance that cannot be seen; instead, it reveals itself via its gravitational interactions with surrounding material. Its existence was originally proposed to explain why the outer parts of galaxies, including our own, rotate unexpectedly fast, but it is thought to also play an essential role in a galaxy’s formation and evolution. Most of NGC 24’s mass — a whopping 80 % — is thought to be held within such a dark halo. Position (Dec): -24° 57' 50.57"